This disturbing book reveals the extent of the truly shocking activities of the Kempeitai, Japan's feared military and secret police. The book opens by explaining the origins, organization and roles of the Kempeitai apparatus, which exercised virtually unlimited power throughout the Japanese Empire. The author reveals their criminal and collaborationist networks, which extorted huge sums of money from hapless citizens and businesses. They ran the Allied POW gulag system that treated captives with merciless and murderous brutality. Other Kempeitai activities included biological and chemical experiments on live subjects, the Maruta vivisection campaign and widespread slave labour, including 'Comfort Women' drawn from all races. Their record of reprisals against military and civilians was unrelenting. For example, Colonel Doolittle's raid on Tokyo in 1942 resulted in a campaign of revenge not just against captured airmen but thousands of Chinese civilians. Their actions amounted to genocide on a grand scale. The author backs up his text with first hand testimonies from those survivors who suffered at the hands of this evil organization. 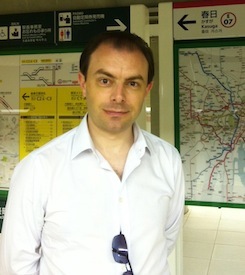 He examines how the guilty were brought to justice and the resulting claims for compensation. 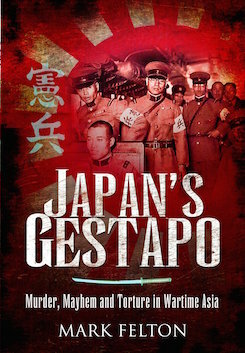 As a result Japan's Gestapo provides comprehensive evidence of the ruthlessness of the Kempeitai against the white and Asian peoples under their control.